A shocking leak has fallen into the lap of The News of the Universes, the truth behind the destruction of the first Death Star can at last be revealed! Official history tells of the Rebel Alliance staging a heroic last stand against the mighty battle station and winning against all odds. 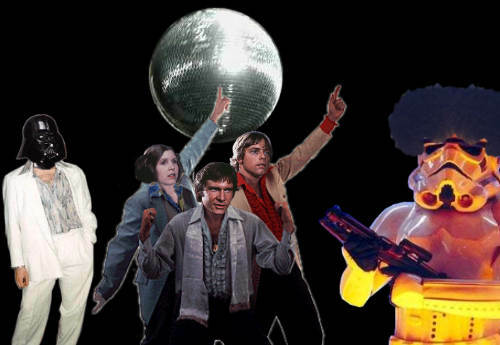 But it was no penetrating torpedo that made the Death Star explode, it was Disco! 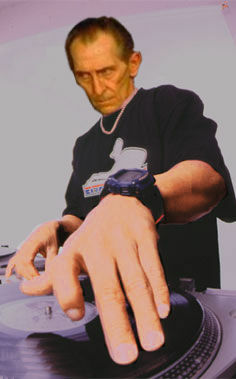 Imperial Grand Beat Master, DJ 'moth eaten' Tarkin, was ordered by the Evil Emperor to lure the unsuspecting Rebels aboard the dread Death Star with promise of 'kicking tunes'. The truth was stranger than the fiction, as the Death Star was not the world destroyer it has previously been protrayed as - in reality it was a massive mobile party venue. Top Secret documents confirm that the Evil Emperor had originally planned to visit dissident worlds with the Disco Death Star and force the entire populace to engage in outrageous dance routines until they submitted to his rule. DJ Tarkin and Dance Lord of the Sith, Darth Vader, had not expected to meet a group whose 'power of the funk' outshone even their own legendary levels. The incestuous love triangle trio of Han Solo, Leia Organa and Luke Skywalker burst their way onto the dance floor in what one eyewitness described as 'more gyrating body popping than a salted Hutt'. Luke Skywalker, who was at the time new in the ways of the funk, explained the unfortunate events that occurred next. "We'd finished our routine to wild applause but I could tell Ben 'aging hippy' Kenobi thought he could out-do us. At the time I didn't know Ben used to teach Vader how to strut his stuff, or that they fell out over which of them deserved the biggest medallion." Disco Diva Darth and Groove Meister Ben battled it out on the dance floor but the aging Beatnik Kenobi was no match for his one-time apprentice. "We could all tell Ben was falling behind when he suddenly did a body jurking power point to the ceiling, spraying a wave of sticky sweat over us all. Before our very eyes he spontaneously evaporated into a pungent mist! All that was left was his posing cloak and super shined medallion that fell to the floor. Vader back-flipped onto the damp remains and proceeded to head-spin! Well, I'd had enough..."
"Tarkin came across the plans to the Disco Death Star many years before and put his entire career into getting the go-ahead for the project. 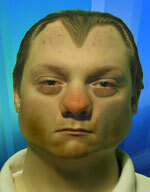 He was devastated when his prized Deck blew up in his face. He threw a paddy, hitting every button on his smoking board - the thing that most disturbed us was that he wasn't even keeping in time with the fading music!" It is apparent that in his unchoreographed rage caused him to hit the self destruct mechanism, speculation is still rife whether it was deliberate or accidental. The small group in the Tarkin's Executive Discotheque were the first to get a warning signal as they watched DJ Tarkin soil himself and the floor around the edges of his mega-flares. Emergency claxons around the rest of the station were believed to be drowned out by the banging pop beats piped throughout the station. The official investigation does match the truth in one regard - only a handful of Rebels and Darth Vader escaped the area of the Death Star before it exploded.